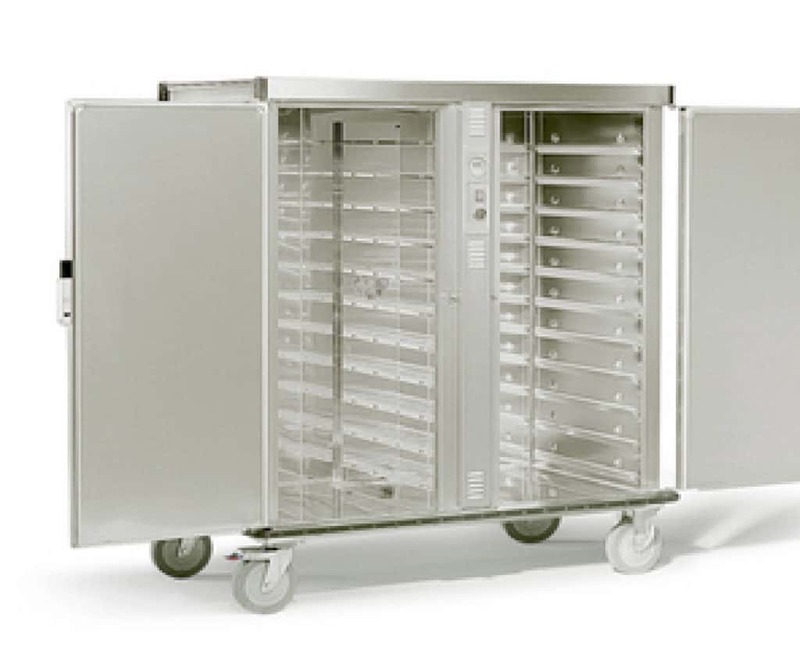 Rieber Banquet Trolleys offer exceptional build quality combined with a host of added-value features. 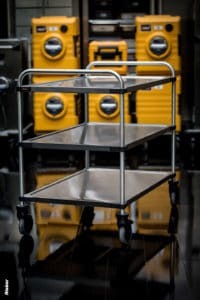 These trolleys have proved so reliable that they are used by hospitals as well as hotels and event caterers looking to keep food at the right temperature, whether hot or cold. 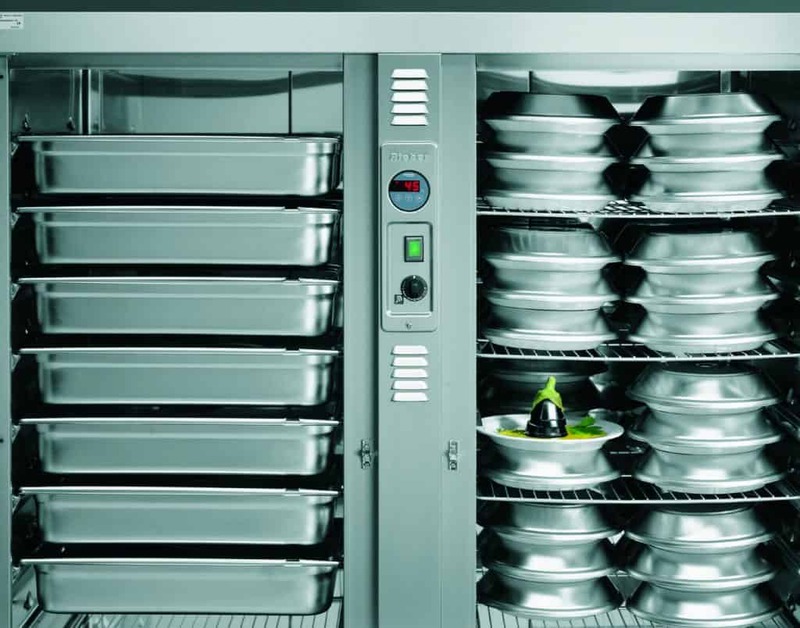 Unlike some competitors, Rieber Hot Banquet Trolleys feature an adjustable humidity option which is essential for keeping meals moist and succulent. 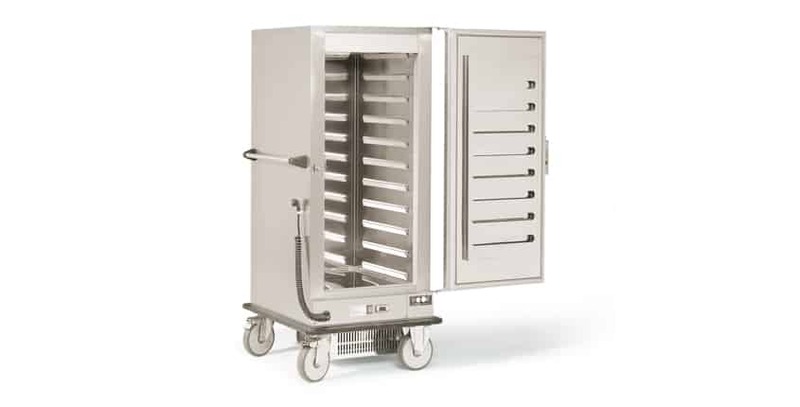 Hot and refrigerated trolleys are available, each featuring a high quality stainless steel carcass, double wall insulation and seamless easy-clean deep-drawn shelf rails for maximum hygiene and ease of use. Single and double door models are available, with the two door model featuring up to 180 plate capacity. All units feature digital thermostatic control with memory storage, tilt shelf protection, door opening to 270 and 180 degrees. 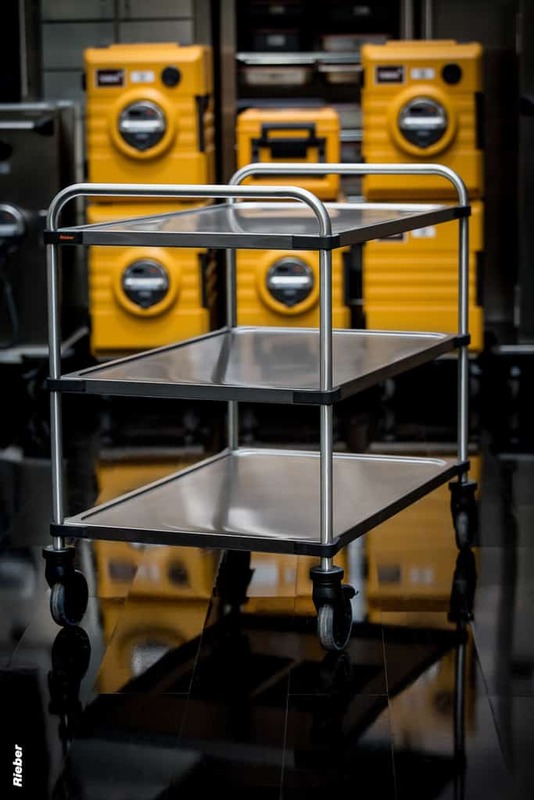 Fully GN compatible, Rieber Banquet Trolleys also feature all-round bumper protection and recessed pushing handles, for comfort, safety and to maximise use of space. 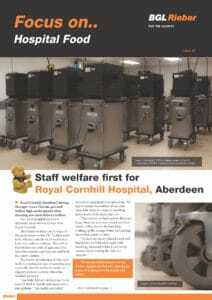 Ask us about: Useful accessories including stainless steel plate carriers and covers.